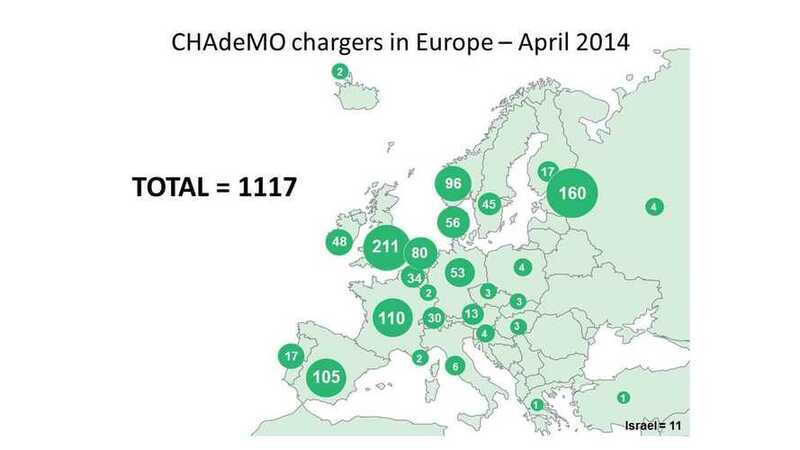 CHAdeMO Association just released a new map with numbers for DC fast chargers in Europe. 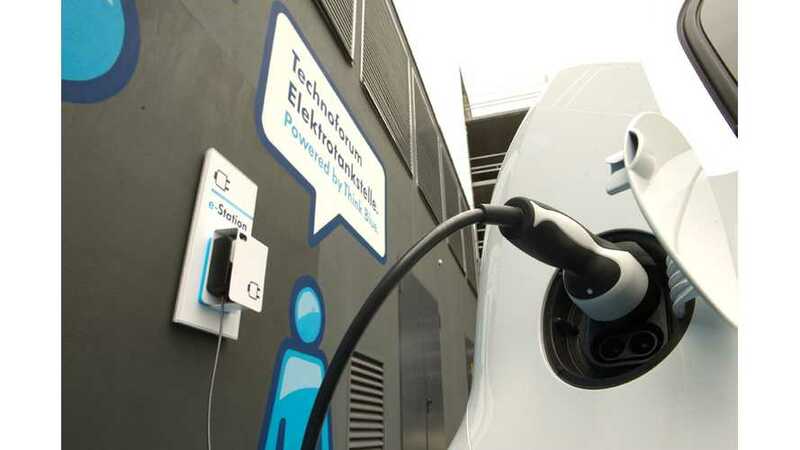 1,181 out of 3,815 are installed in Europe. 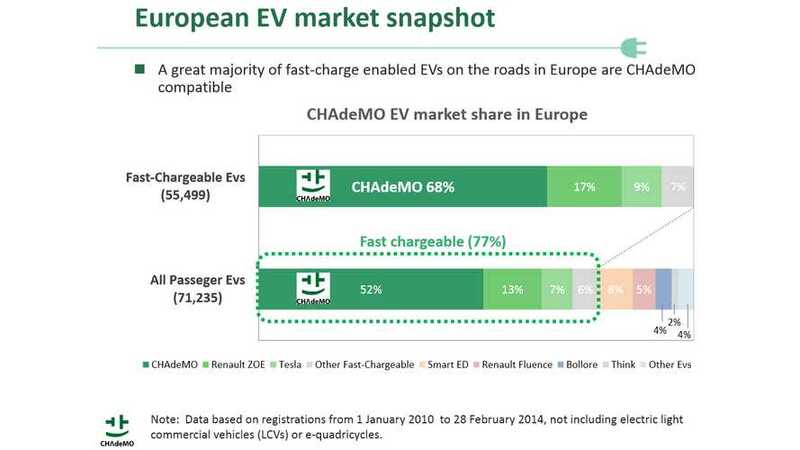 According to CHAdeMO Association, data from January 1, 2010 through February 28, 2014 in Europe shows that the CHAdeMO fast charging standard still is dominant among passenger electric vehicles. 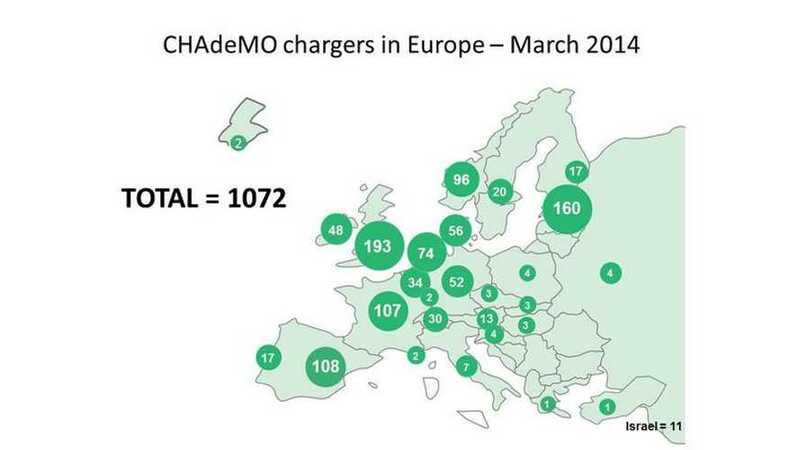 CHAdeMO Association recently released a new quick charger map for Europe with not only the number of installations, but density too. 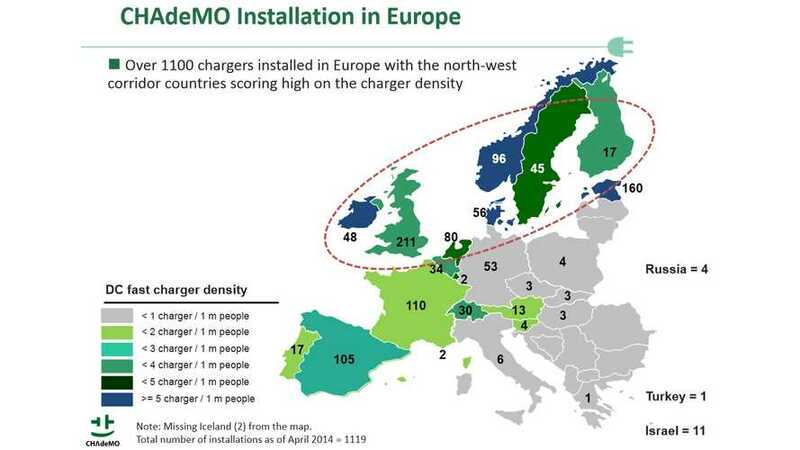 Here's that map. 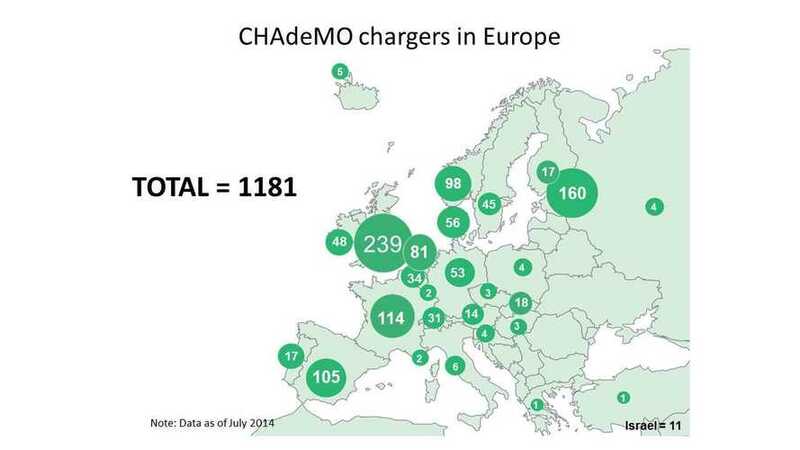 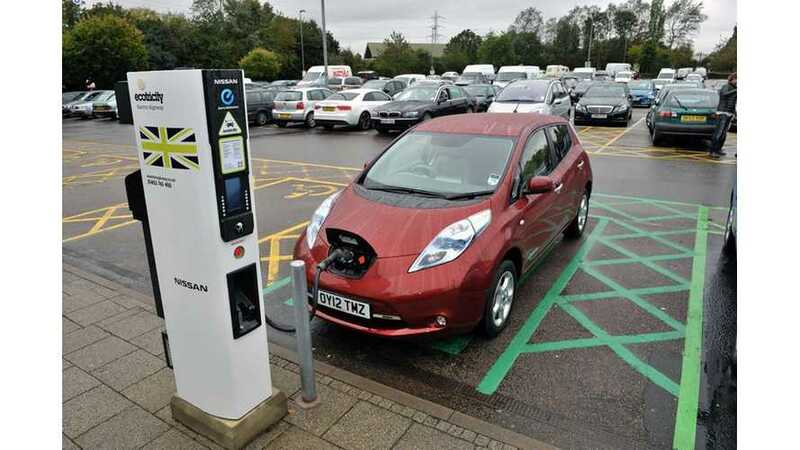 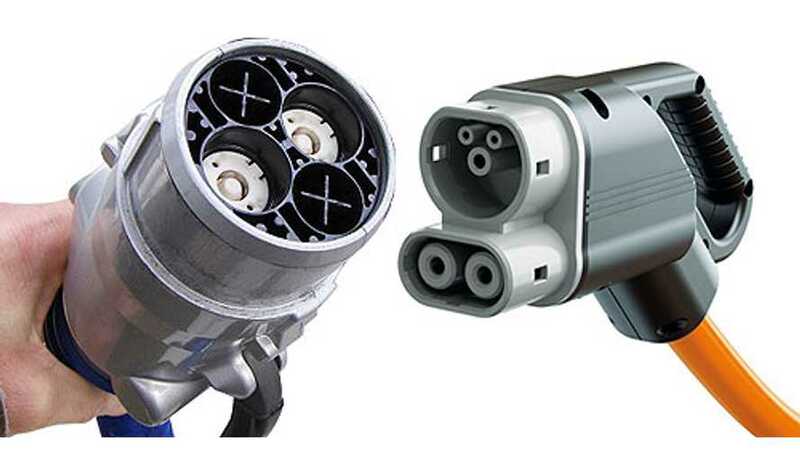 Sweden and the UK are the driving force behind the recent growth of CHAdeMO quick chargers in Europe. 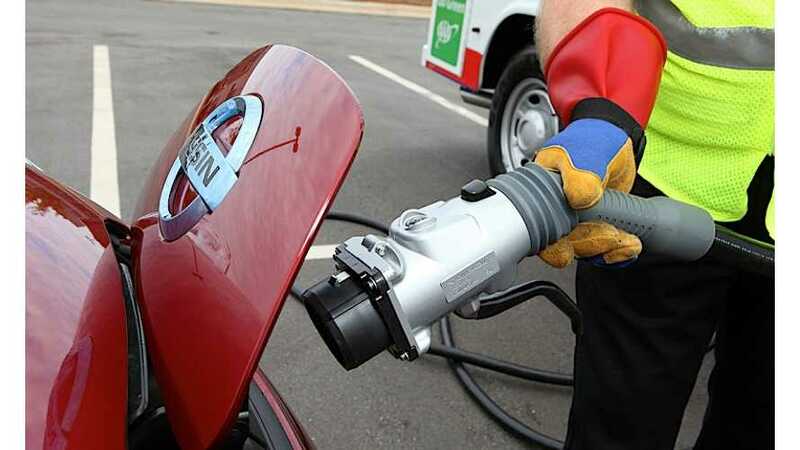 The total in Europe is now at 1,117.